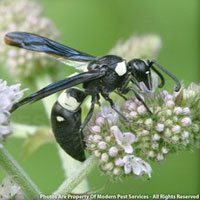 Wasps come in a variety of shapes and colors, but they can be distinguished from bees by their smooth, rather than hairy bodies. Their body ranges from a 1/2 – 3/4 inch long. 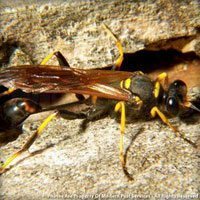 Most wasps exhibit predatory and scavenging behavior. 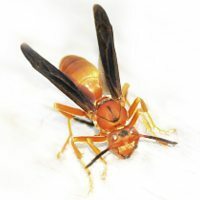 Depending on the species, some wasps are solitary while others live in colonies which may number thousands of individuals. 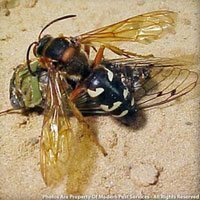 Social species will often create wasps nests in walls of houses, sheds, or other wooded areas. 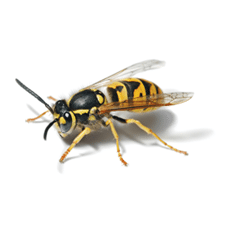 For more information on keeping your home wasp-free, get a quote today or contact your local pest control specialist! Their diet consists primarily of protein, such as spiders and soft-bodied insects. Social wasps begin a nest with one queen laying all the eggs for the colony. When the queen dies, a worker can take over egg-laying function until the colony produces a new queen. 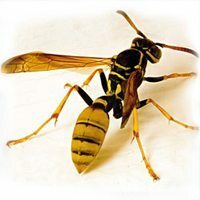 Because wasps often are aggressive and exhibit territorial behavior, a nest that is located in, on, or near your home can become very problematic, especially if family members have a known allergy to stings. 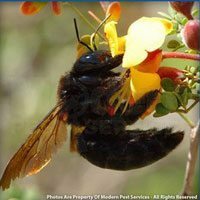 If you suspect you have wasps invading your home or yard and are looking for species identification and removal, call or contact Modern Pest today!